Our social action and leadership programmes bring young people, member organisations and their local communities together for mutual benefit. With and through our members we design, deliver and evaluate social action programmes that provide young people with opportunities to improve their skills and qualities, boost their confidence and resilience, and develop leadership skills through practical action. We believe that every young person in London should have access to such opportunities to develop aspirations and reach their potential. Through becoming active participants and leaders at their youth organisation and in their community, young people can display their talents and celebrate their achievements. 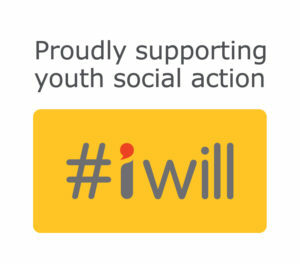 We are proud supporters of the #iwill campaign, continually learning from our delivery to ensure we are creating opportunities for young people to take part in positive activities and develop a lifelong commitment to social action.